With currency wars raging around the globe, central banks in 2014 made a big move into gold. 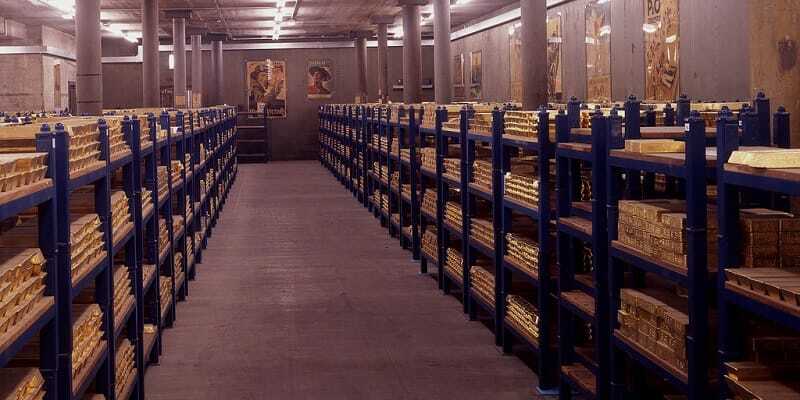 The World Gold Council (WGC) reports that countries around the globe are stockpiling more and more gold, marked in 2014 by governments purchasing 477.2 metric tons of the precious metal for their central banks. This represents the biggest increase in purchases in the last 50 years – 17 percent higher compared to the year before. Estimates put the total amount of money spent on gold by central banks in 2014 to be around $19.4 billion. This trend is expected to continue into 2015, with the WGC predicting that purchases this year will be at least 400 tons. The last five years saw many central banks steadily reinforcing their gold reserves, a stark contrast compared to the two decades of selling that began in the late 1980s. Out of the many countries demonstrating an interest in purchasing gold, Russia bought the most as they brought their gold reserves to record levels not seen since 1993. Their purchases of large amounts of gold, exceeding 173 tons in 2014, are believed to be an attempt to address problems with ruble liquidity as well as to diversify the country’s foreign reserves, of which gold now makes up about 12 percent. Ukraine, the country Russia has been clashing with recently, was the largest seller of gold, reportedly parting ways with almost 19 tons. Other countries that made notable gold purchases include Kazakhstan and Iraq, with each buying around 48 tons, as well as Azerbaijan, which purchased 10 tons. The World Gold Council’s report states that in a quest to diversify from currencies, countries around the globe have purchased a total of 1,964 tons of gold in the last five years. Get all the fact on Birch Gold Group’s business on our CrunchBase profile.